There are very specific rules for placement of events and notices into our Rainberry Information Channel. If you have not seen them, click on the button above to read them. Our goal is to keep the community notified of whatever is happening in the community in a timely fashion. Thanks for participating. The same guidelines apply to the information on the website except we can add graphics and publish for a longer period of time. Clubs and committees are responsible for all the information. If something is cancelled, both CCTV and the website will reflect this. There are less restrictions to the number of lines available to publicize your event. Snowbirds can access the upcoming events from the comfort of their Northern homes and plan accordingly. Again, it is up to you to keep this information timely. ​WEB RIC can be accessed under the COMMUNICATION tab on the main menu and Residents are able to switch between the public website and the password-protected side. The password protected side is managed by our Management Company. Residents are able to pay their maintenance online here and see the status of their account 24 hours per day. First Service provides forms, videos, minutes, documents and whatever other information residents need to become informed about the business of Rainberry Bay. We urge you to sign in, receive a password and use the website whenever you have questions that you want answered. You will also have a direct connection to our Property Manager and enter work orders. As a Club officer, you can access the REQUEST FOR USE forms for setting up your calendared event in either the Theater or the Clubhouse. All community events are advertised on our own closed-circuit TV station (Comcast Channel 93). 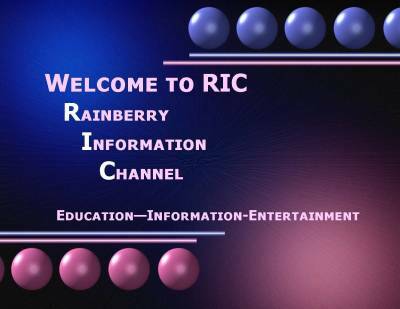 It is managed, and the information is input, by the RIC Committee. There are specific guidelines for how information is received and transmitted. All upcoming Board Meetings, Club Meetings and Events, Committee Events and important information is published there. It is up to the clubs and committees to send this information to RIC. Only local residents can tune into our CCTV93 station but the same information can also be found on this MyRainberryBay.com website.